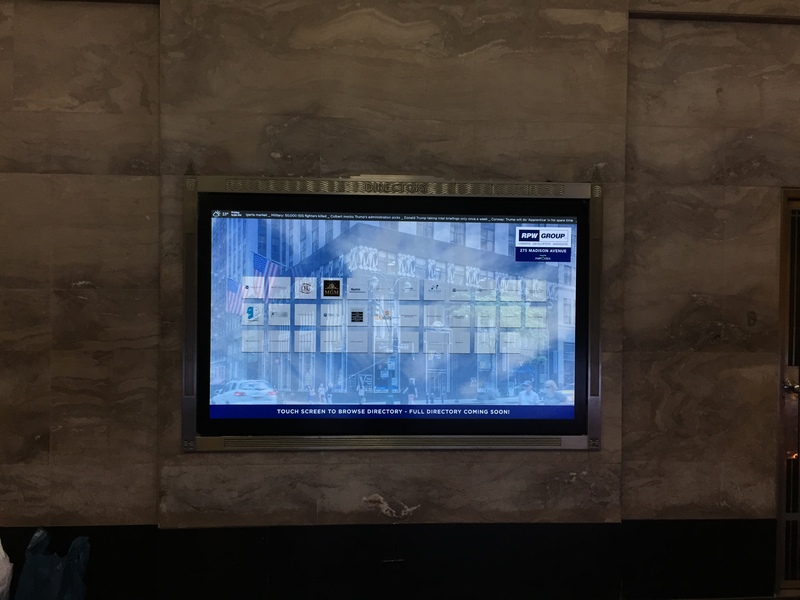 Sharp Digital WallBoards and Signage – XS Applied Technologies Inc.
Share Your Message. Make an Impact. Grow Your Business. When your message is important enough to share with the world – trust a leader in LCD technology to help you do it. Partnered with XS Applied Technologies to design and install the right solution from Sharp’s Aquos Board line of Interactive Display Systems to ultra-slim bezel video wall monitors and high-brightness digital signage displays, Sharp has just the right product to convey your message with brilliant clarity. Aquos Board Interactive Display Systems: Sharp’s AQUOS BOARD™ is designed for smooth and effortless communication in a wide range of contexts. Their highly responsive touch pens allow several people to write on the same screen at the same time. And Sharp’s Touch Display Link software enables multifaceted wireless communication.It’s a digital whiteboard, a multipurpose business tool and so much more. This is an ideal tool from conference room to classroom. Sharp’s PN-V601 and PN-V602 are the ideal choice for exciting, nearly seamless multi-monitor video wall configurations. High-impact and impressively sized, this sleek 60-inch class monitor brings a multitude of digital signage possibilities to shopping malls, airports, museums and countless other public places. The Sharp PN-R603 & R703 offers exceptional image quality which comes from Sharp’s industry-leading LCD technologies. This display is a flexible solution that let’s you customize your display and create the digital signage that’s just right for your business. This solutions is great for School Campuses, Conference Centers, Shopping Malls, Airports, Hotels, and any other environment with high ambient light. Sharp has a program of award-winning initiatives for social and environmental responsibility including planning, design, supply chain management, manufacturing distribution, product-end-of-life management, corporate citizenship and employee volunteers. 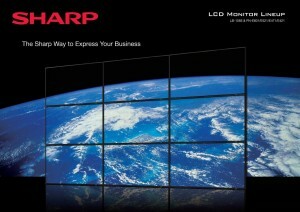 Sharp Professional Display Products are and integral part of the Sustainable Sharp program. For solutions on how to integrate a Sharp Wallboard into your Video Conference Solution contact us at 732-807-4449 or email.